DIY Homemade Liquid Hand Soap Review – Does it Work? In the history of soap, liquid hand soap is a relatively modern invention. Recently a number of natural living bloggers have shared homemade liquid hand soap recipes – making a gallon or more of hand soap from a solid bar of soap. While there are obvious cost savings to be had, is homemade liquid hand soap worth it? And are there any safety concerns with making your own liquid soap? Getting the soap ready for liquefaction. 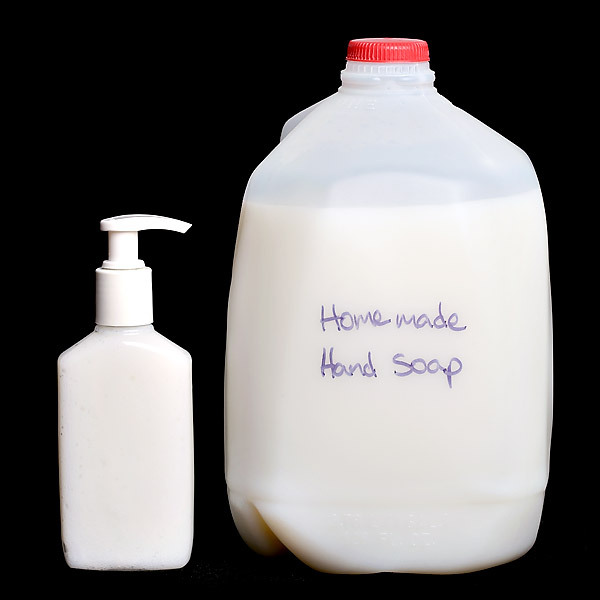 I was super intrigued when I came across the idea of using a bar of soap to create a whole gallon of liquid hand soap. The cost savings to be had were incredible – you could make the hand soap at more than a 90% savings depending on what kid of bar soap you use. The recipe is simple, and easy to follow, and produces enough to last for months. I purchased a bar of all natural soap and whipped up a batch of the liquid soap one evening. I grated a bar of soap, dissolved it in hot water, stirred it up with my electric mixer and let it cool overnight. The next day I whipped it up again with the beaters and funnelled it into a rinsed milk jug. If you want to try this yourself, you can find step by step instructions here, here, or here (they’re all pretty much the same). I put a small amount of the hand soap into a reused bottle with pump and set it by the bathroom sink where we do most of our hand washing. That’s a lot of hand soap! The kids loved the new white soap, and insist on using it all the time. I guess they think it’s super cool because mama made it. Or maybe they just like using new and different things (our regular hand soap is clear, not white like the homemade stuff turned out). But I don’t like it. It has a gooey, runny consistency that reminds me too much of snot. It strings like snot from the end of the pump and makes a mess. And it doesn’t really lather. These things are just preference, really, but I don’t prefer it. Also the fragrance of the bar of soap I used is very strong, so the liquid soap is much more heavily fragranced than I’m used to. This bothers me too. The complaints above, are all just based on the type of soap I’m used to, and what I prefer. For the incredible cost savings, I could get over it, and just pick a more lightly fragranced bar for the next batch. As I thought more about this homemade liquid soap, however, I became much more concerned about a different issue: preservatives. This liquid soap doesn’t have any. I know, I know: preservatives are considered to be a bad thing in the “crunchy” community. They are of dubious safety, and some types may even be carcinogenic. However, preservatives serve a very important function: they prevent the growth of mold, fungus and nasty bacteria in liquid products. Without preservatives, natural products will not stay fresh as long as commercial products. They should be kept in the fridge and used within just a few days. If not, they can become contaminated and cause severe health problems, blindness and even death (reference info here). I spoke to a friend who is a microbiologist about the topic of making your own personal care products. She grew wide-eyed and seemed very concerned about the safety of doing this sort of thing. She pointed out that anything with water is at risk for microbial growth. Especially if tap water is used. Especially if made in your own, not-sterile kitchen, with your bare, naturally covered in bacteria hands. Oooops. She also said the longest it could possibly remain safe was a month in the fridge. So, friends. I cannot recommend this soap. I will be throwing away the gallon of soap I made, because there is no way my family can use it up in less than a month’s time. Also, I know if I keep a gallon milk jug of white soap in the fridge, I will accidentally try to make a cup of hot chocolate with it early one morning. Blech. In fact, after learning what I have about preservative free personal care products, I will be very careful with testing out any more water based homemade products. I only feel comfortable testing things that are meant to be made in small batches, stored in the fridge, and used pretty much immediately (like homemade hair gel). The risk of not using preservatives seems much greater than the risk of having them in my products. If you really want to try out this soap, or any other homemade liquid potion, I would suggest making a very small batch, keeping everything super clean, or even sterile during the making process, storing it in the fridge, never touching the inside of the container with your bare hands, and tossing what’s left after two weeks. Have you tried making your own hand soap? What are your thoughts on preservatives? This post was featured at Frugally Sustainable’s Frugal Day’s Sustainable Ways Blog Hop! This entry was posted in Cleaning, DIY Green Ideas, Personal Care and tagged better for the earth, better for you, cleaning, easy, homemade, reduce, saves money, soap. Bookmark the permalink. 106 Responses to DIY Homemade Liquid Hand Soap Review – Does it Work? Not that I’m that keen on making my own liquid hand snot, I mean soap, but I did enjoy reading this one. My daughter has recently started making her own bars of soap, bath crystals and milk bath (powder form), so I’ll send her your link, just in case she decides she wants to start making liquid snot/soap! Haha – thanks for passing along my thoughts, Carol. Salt can be used as a preservative. Not sure of amt per gal. Somewhere I saw 2 tlb. per gal. Maybe this is a product that can be made and shared with friends so it is used up more quickly. My friends and I have sort of a make/grow and share system at work. No one ever exchanges money, but we trade things we’ve made or grown so each person doesn’t have to do it all ourselves, like in the old days ya know…the farmer, the baker and the candlestick maker! It’s shame we’ve moved so far away from this idea. It’s why we have all the nasty chemicals in our products and food. Sharing when you have extra of anything is a good idea. BUt remember, something like this should be stored in the fridge at all times. Thank you for sharing all this info. I have really wanted to do some of these things but your info has made me re-think. Yes, I want healthier versions of products and safer to use but not at the expense of safety!. I appreciate your reviews. Hello, I saw your link over at the Homestead Blog Hop and popped over to see your post because I made a similar product and was curious to see if anyone had the same results. All of the tutorials I had seen raved about this soap and one blogger was suggesting the soap to give as gifts. I was underwhelmed. Like you, I felt the texture was unappetizing but I was willing to bear with it because of the savings. I had no idea about the preservatives, thanks for sharing that. I’ll have to consider whether it is worth giving this a try again in the future. FWIW: if you *had* decided to keep your gallon jug, mine has separated pretty badly and has to be shaken well before pouring into the dispenser. Even then the consistency is pretty gloppy and it takes some skill to get it in there. Thanks for sharing the “long term” results with us, Jenny! what about using oils in it such as eucalyptus, tea tree oil, lemon, lavender or other such oils? Try googling natural preservatives such as salt. Found you at the Time-Warp Wife’s link up. Great to read a balanced review of homemade cleaners… Thanks for the time you put into this! Actually, I’ve been making my own liquid soap from bar soap for a while now, and have never had any trouble with it “going bad” or anything like that, although it sits out at room temperature for months at a time. I don’t just dissolve the soap flakes in hot water but I “cook” it a bit on the stove, and after it’s cool and set up, I add essential oils such as tea tree, lemon, etc. Whatever I fancy at the moment, but always tea tree. I think these oils help preserve the soap, plus they kill germs on your hands when you use the soap. But, I’ve never been afraid of things going bad that I make myself, and I’ve made a ton of my own personal care products. I’m much more afraid of the commercial products out there that have all sorts of nasty chemicals in them! Jana, I, too, have made the liquid soap and love it. I make it from soap slivers too small to hold in the shower and left over from Dove soap. I know, I know. People say you can’t use Dove Soap, but you CAN use it. Just juggle the ingredients -water/soap – and “cook” it to the consistency and fluidity you desire. I BOIL the water first at a rolling boil and then let cool a little and add the soap slivers. No need to grate Dove at least as it dissolves and stirs in quite well. I imagine any other bar would dissolve as well. Then I add whatever EO’s I want and a couple of capsules of vitamin E. I store this in a gallon container under my sink (my bathroom is cool), and I do not have a problem with seeing mold grow. It smells fine and works well. As for the consistncy of snot -NOT! And I don’t have those little trailing tails out of the pump bottle. I just add water to the consistency I like and put into the soap dispenser. No, it doesn’t lather, but I have found if I squirt some in my hand and then rinse and repeat, it does lather some. Anyway, I am with you, Jana; there are no chemicals and no one has gotten sick around here yet. I’m glad your family has remained healthy. It’s just not a risk I’m willing to take, especially with my kids. For natural, preservative free soap, I think bar is the way to go. You have to do what you feel is best for your family, of course. But, I will just say I have never, ever heard of anyone getting sick from homemade soap or anything like that, and I know a lot of people who make their own, so that might be worth something :-). Thanks for the info I am making some right now ..for Christmas gifts .. trying to find something on line I can put in it to scent it .. thank you so much it is ivory pretty pure to begin with .. made my own containers for it also ..
As I think essential oils are quite expensive for a first experiment, I bought Citric Acid. Obviously, I will be making small quantities and keep them in air tight containers in the fridge, taking them out when I need them. I have a homemade room freshener spray that is over four years old that I added powdered vitamin c too and to date have not had any mold on also make my own liquid hand soap, the trick is WATER and we have well water…so welcome to unlimited possibilities, I do add colloidal silver to mine. I have been doing this for years and get rave reviews from those who come visit and use my soaps. Sad to see that so many have been discouraged by your comments. Hi Ericka, my intention with this review was to review the hand soap recipe as I found it. Certainly the addition of certain essential oils, or colloidal silver might have a preservative effect, but unfortunately I don’t have access to a microbiology lab to test it out… I’ve always lived with city water, so I’m not too familiar with the benefits of well water. Is there any research that shows well water is cleaner (microbially) than city water? I couldn’t find any in a quick internet search. Rather a late reply but thought I’d let you know that I’ve just been watching a homemade liquid soap recipe on YouTube and they used honey, a natural antibiotic, and glycerine, a humectant and preservative. Thought I’d give it a try. All the best. Castille soap has tocopherols in it which is a natural preservative. We don’t eat or use preservatives in anything and we get a cold about once a year and have no other illnessess related to bacteria or viruses. Our food and soaps never have mold on them. I think castille soap and tea tree oil is great in hand soaps. I just finished taking a microbiolgy class. The problem with I have with your whole argument is for microbes to grow they have to have a food source and perfect environment to reproduce. If you think that the types of microbes that might grow in your soap solution are going to put your family at risk my question is: do you let your family eat at restaurants? Do you drink soda from a fountain machine? Do you change out your “drying off” towels after every use? There are microbes all throughout your environment that you encounter all the time and just making liquid soap isn’t going to create a breeding ground for microbes. In my opinion you can use the soap as long as you want and if mold forms then start over. You’re right. Microbes are everywhere, which is why my family and I always use a clean, fresh towel and clean, fresh rag/washcloth after taking a shower. I wish there was one straight answer to all of this. I’m so confused with reading this and then reading that. I just want to make homemade soap that’s better for my skin and something that will save me some dinero! 🙂 Oh well. Maybe I will try making a recipe for only a weeks worth of soap at a time just to be on the safe side. Exactly. I make my own cleaning and personal care products. None have grown bacteria. Maybe because I put EOs in them. I use tea tree oil in many things because of its antibacterial properties. As for consistency…not a problem. Interesting info in both the post and this comment. In addition to the anti-microbial effects of tea tree oil, I’d imagine that bringing the whole thing to a boil probably helps, as would adding some rubbing alcohol or peroxide once the mixture has cooled. Storing airtight and in sterilized containers would also help with the going bad issue. Personally, lack of lather doesn’t bother me. It doesn’t mean anything in terms of the soap’s effectiveness, and can vary depending on the hardness of the water even with normal, commercial products. My preference is bar soap, but we use liquid in our house, because my husband strongly prefers it (bar soap grosses him out). I’ve long been intrigued by the idea of homemade liquid soap, but the description in the post above does not sound appealing. I know the mucous texture would not go over well with my family. Thanks to everyone for all the info. Ugh I don’t blame your husband for being grossed out by bar soap. I had to do tests on soap in microbiology and bar soap tends to grow mold much faster than liquid in a home setting. But commercial liquid dispensers–the refillable kind, less so the ones with changeable bags–grow some of the nastiest bacteria I’ve ever seen! It’s not terribly hard to put preservatives in your home-made soap. A little tea tree/lavender/citrus oil as suggested, a little rubbing alcohol or vinegar (the alcohol isn’t drying if you only use enough to kill germs in the soap and occasionally reapply the alcohol), a little boiling the water which is suggested in most recipes I’ve ever seen. Though apparently you have to boil the water for an hour to kill e. Coli, at least that’s what they said on our last boil water alert in the area. That stuff dies instantly with isopropyl though. I certainly wouldn’t use an old milk jug! Yuck! Treat it like any other canning project and boil your glass container first. If you’re not interested in risking illness by not taking these steps though, it is likely safer to use chemicals you’re unsure of their consequences rather than home-made things that you can test for bacterial growth. Lots of good thoughts here. Thanks Heather and Rachel! Thanks for this. While reading through this page I thought about rubbing alcohol to kill the bugs. I wonder how much to put though. I really want to make homemade hand soap because somehow I’m allergic to those commercial kind. I get a rash. And I’m tired of using bars. Maybe so. I don’t know how well it would mix in, or if it would separate. I was just getting ready to suggest adding essential oils such as tea tree to prevent it from “spoiling”. I love tea tree oil–one of my favorites, esp since I discovered the company doterra. I get all my oils from there now. I recently had throat/esophageal thrush from taking antibiotics and one drop of the oil cured it. I make this soap and “cook” it as well, also adding oils. I like to change the oils out with the holidays. Looooooove the peppermint essential oil around Christmas time. I’m not a huge fan of the consistency or lack of lather either. However, I still make my own liquid soap because I know that what’s in it is good for my skin. As far as spoiling concerns, you can add tea tree oil as the others suggested, or grapefruit seed extract which is commonly used in homemade soap products as a natural preservative. I haven’t had a problem with spoilage. Yes, tea tree oil and grapefruit seed extract are good natural preservatives. However the majority of “make your own handsoap” tutorials do not include these in the recipe. I wanted to review the idea as most commonly presented. I’m not sure how much of these ingredients would need to be added to protect the product from long term mold and bacteria groth. Vitamin E and Rosemary oil are also natural preservatives. Vitamin E is great for your skin, but some people can be allergic to it (like with just about anything else). I don’t like the strong smell of tea tree so I generally stick to using Vitamin E as a preservative and make small enough batches. I have never had a problem. I don’t make my own hand soap… Still, preservatives?! Really?! (PhD in Chemistry here…) What do you think your grandmother did? Hi Jennifer! My grandmother used liquid Ivory soap – even today the smell of it immediately takes me back to her country home. 🙂 But I know what you mean. Country folks of old used bar soap and powdered soap, even for the hair. Little risk of mold or bacteria growth there as long as they were kept dry. Perhaps we would all feel better if instead of using the word “preservative”, we refered to these agents as “mold inhibitors, or anti-bacterials”? While I think preservatives in food are a bad, BAD idea, I don’t see much harm in having them in a topical product that is immediately rinsed from the skin. If anyone is concerned about mold and bacterial growth, why would one store it in a rinsed out plastic milk jug? That is just asking it to happen. No way can you get all the mold and bacteria germs and plastics are somewhat porous and hold on to odors ( sorry for all the ands). I keep my liquid soap in fair size glasss jars, usually quart size canning jars. Agreed – a rinsed out milk jug is not the ideal storage situation. However a couple of the tutorials I saw did exactly this. My intention was to review the idea as presented. I’ve seen some of those tutorials and I just couldn’t bring myself to use a milk jug for the soap my family would be using. I don’t even leave my milk in a milk jug, always a sterilized glass jar for everything. Dilute liquid soap in a reused foamer or trigger spray bottle. It’s “pre-lathered” for you, and you’ll use less soap per washing than with straight liquid soap. I use tap water, but we live in Pittsburgh which has one of the cleanest water supplies–boiling the water, then letting it cool before pouring into the plastic bottle, would be safer. Put bar soap in a mesh bag, which helps it lather and enables you to use every last bit. This works better in the shower, but I used one for handwashing in an apartment that had a little washcloth rag above the sink where I could tie the soap sack. What a great post to generate debate. I do think a lot of it depends on those all-natural additives that some people have already mentioned. I agree that if you are concerned about spoilage and bacteria the old milk jug is a very poor idea. I have never made a liquid hand soap, but this does kind of make me want to try it now. Yes, I’ve made it, but by using the hot-process method using potassium hydroxide (as opposed to the sodium hydroxide used for bar soap). And I don’t store it in a milk jug. For large quantities I would suggest quart or half-gallon mason jars which can be thoroughly washed and sanitized. I’ve had no problems keeping mine many months this way. This method yields a hand soap that is a bit watery, but not at all “snotty” in texture. No lather is not a problem as far as cleanliness goes. I’m not sure I’m familiar with this process, Cathy, can you share more info? Do you add any natural preservatives to your soap? I morphed into a pseudo-crunchy homemaker about 2 years ago. In my quest to lower household bills and the consumption of harmful chemicals, I resorted to several recipes for household products used by our not-so-distant relatives. One of my favorite things to do is make hand-soap that is very close in recipe to our dishwashing detergent (not dishwasher). BOTH of these recipes call for some sort of natural essential oil acting as closely to a preservative as possible. I alternate between Tea Tree and Rosemary and have never had an issue with rancidity or illness. I would like to point out that I use distilled water in ALL cleaning products and store them under my sink as opposed to a refrigerated environment. Also, SUDS DO NOT EQUAL CLEAN! This was an idea that took a while for my family to accept. Thanks for sharing your experience with us, Rachel. Wow Victoria! Quite a debate going on, love it!! I appreciate all the differing opinions. While I hadn’t really sat down and thought about the microbial aspect of making your own liquid hand soap, I have always added strong antimicrobial essential oils to any of my homemade stuff. And I try to use everything up quickly. I totally agree with you on the “snot” part. My husband’s friend accidentally squirted his pants with it, came out of the bathroom saying “It’s not what it looks like, it’s your soap!” 🙂 Well, needless to say, I threw out the soap and have been using liquid castile soap diluted in filtered water in a foaming pump with a few drops of lavender or tea tree essential oil. I’ve been using the liquid castile soap as my shampoo for about 6 months, and I rinse my hair with about a tablespoon of apple cider vinegar in a cup of water. I have long thick hair, I brush out any snarls before I shampoo and gently work my large-tooth comb through after I fervently pat dry with a towel. Few snarls, and no unpronounceable chemicals. Could you share the title of your book, please? I just made homemade body wash, and also I don’t mind the texture, but I love how it feels on my skin. I added citric acid and made only half a gallon, I am counting it will last for a month or a month and a half, I put it in jars in the fridge, and a portion of it in the bathroom in the plastic container I just finish of my previous body wash. I wash it and boiled it before pouring the product in it. I has been using it a week now and is still good. Thanks for stopping by Andreina! Thanks so much for sharing with Wednesdays Adorned From Above Link Party. This is great information. I have never made this much, I only make small batches, and I use distilled water, and sterile containers. I wonder if that makes a difference. What do you think. If one wanted to get really worked up about plastic containers and moldy, snotty, bacterial-laden stuff, they might be a little concerned about all the liquid homemade clothes detergent recipes that make 10 gallons of gel-like stuff without using ANY boiling water -just tap water. Now I think THAT could be nasty. I do laundry for 4 people, and it would take me a year or more to use 10 gallons of snotty washing detergent. People have to use their common sense and figure out what will make them sick. I am 61 years old, and back when I was a kid, there were no anti-bacterial products to speak of. Kids occasionally ate dirt, swallowed creek water, and walked around barefoot in the grass, dirt, and roadways. We didn’t wear bike helmets or ride in car seats. We washed up in the family’s solitary bathroom and used a thick bar of Ivory that everyone else had slimed and left in the soap dish. (Now there was a veritable breeding ground for germs!) MOST OF US LIVED, and this is verifiable by the number of older boomers still living, myself included. So just use common sense when reading blogs and watching You Tube videos. If it looks, smells, or tastes nasty throw it away. If it doesn’t, and you have used reasonably clean -not necessarily sterile – techniques, chances are, you will live. We’re having our inaugural Eat Make Grow Blog Hop. We are looking for folks to link up who want to share what they have been eating with their families, growing in their gardens or making with all their creative impulses. If you’re interested, I hope you’ll hop on over and link up a couple of your posts. It’s a way for you to grow your readership and find other like minded mamas. I once saw a recipe that used vegetable glycerin when making liquid soap into bar soap. I wonder if that would help the consistency and lather problems. I used to make my own laundry liquid soap, the water had to simmer for a long time to melt the hard laundry bar flakes. I used my well water, which is kinda gross unless distilled. I never saw any problems. I would make a lot at a time and since I didn’t need to use much it lasted for months. As a preservative, vitamin E and citric acid are great and found in a lot of products for that reason. Also, tea tree kills just about everything. I have a question about making your own laundry detergent. This is made with a lot of tap water (as Gail T mentioned). I’ve never done this before and I was going to try it today. However after reading your article I’m not so sure I want to do this anymore :-S…..thoughts or comments? My concern with liquid laundry soap would be the same as with the liquid hand soap that I mentioned above. Can you make a dry soap instead? Or perhaps make it in small batches that you could use up quickly? I make my own laundry detergent and have used recipes for a huge 10 gallon liquid batch, a smaller (more concentrate) liquid batch, & dry powder. I didn’t like how the dry worked in our HE machine so I stick with the liquid. After using several small batches I go with the big 10 gallon. But I do boil my water for a lengthly period and use tools that are clean and only for soap making. Also I make the huge batch because everyone in my family loves it and wants some. So we save big money by splitting it up. Whoever sees the ingredients on sale picks them up, I make it and we all share. Also, depending on who is taking it we all add essential oils after we break it up. Some prefer citrus or rosemary but I use tea tree and lavender in mine. We have never had problems with it going rancid but I also try to keep the process very clean and we use all 10 gallons within 3 months when it’s split up between 4 households. We all keep it in those big glass beverage dispensers that can be broken down and cleaned between batches and I treat them just like I would my canning jars before filling them. Hope this helps. My wife and I have been making our own laundry soap for over three years now, so we found this intriguing. One thing I would like to point out is that boiling the water, adding the soap flakes, then bringing it back to a boil… carefully so it doesn’t boil over, should kill any cooties in the mix. The primary danger would be the dispenser… but properly cleaned I think bacteria would be less of an issue than when using a communal bar of soap. Studies have shown that bacteria LOVE to grow ON bar soap… even the anti-bacterial kind. For now, we’ll stick to couponing and looking for sales to minimize our cost… but we’re going to look into this further. Thanks for your insights! I don’t think I can agree with you, gg. Scientific evidence and instinct must both be considered, as neither is infallible. The scientific method offers us a robust way to test hypotheses and determine cause and effect. It is not always 100% correct, but cannot be completely discounted. Instinct is also an important tool and should not be ignored, but without back-up information I am doing no more than using using my family as guinea pigs. Certainly some moldy hand soap may not be life-threatening. However, if I know it is a real possibility, why bring it into my home? Thanks for your comment Sasha. I wanted to post the same thing. I have been making and using liquid hand soap and liquid laundry soap for over three years. I have never had mold or sick family members from it either. Just clean hands and clean clothes. I always boil my water in a large steel pot for 30 minutes or longer and then add the soap for liquid hand soap (I like to use 2; 3.5oz or 4oz bars.) To avoid the “snot” consistency I blend the soap to a milk like consistency in my blender. We also store the hand soap in 2 half gallon canning jars (glass). We also use homemade soap dispensers (made from glass jars) which can be sterilized before refilling. Just an FYI: most all bar soaps already contain natural preservatives. And, even antibacterial soaps (solid and liquid) can grow mold and harbor bacteria. For my recipes, glycerine is also a partial preservative and the most all essential oils are anti-bacterial and ant-fungal and my recipes call for using them. In addition, the recipes on my blog were all tested by an award winning lab full off biological engineers (research for an upcoming book). I don’t post things like this without fully investigating them. This is why I mentioned that it is only good for 4-6 months because the consistency does change over time. It is also good to keep in mind that the very act of using the saponified soap will aid in the removal of the bacteria since the soap binds itself to the particles (bacteria, dirt, and oil) and trap them so that they can be rinsed away. That is how the chemistry of any soap works. The biggest issue with all liquid soap is making sure you use a clean pump. Bacteria does tend to grow on them so if you touch it and don’t clean your hands after you will be transmitting that bacteria. Even so, the soap does its job no matter where it comes from. I hope that sheds some light on things for you. I use essential oils in soaps I make at home (laundry, shampoo, etc). For diluting the Dr Bronner’s bar I buy distilled water, boil, return for storage in that same jug once it has cooled and the oils of choice are added. I hadn’t heard of this and will give it a pass. There are plenty of ways to increase my crunchiness that I’ll aim for the ones with better and safer results. Thanks — because I really might have gone for this had I seen it elsewhere first. Awesome. I love your HONEST opinions you give. Thanks for sharing this on TALU. Unfortunately, studies show. That tea tree oil is only effective when used at .5% in combination with a solubizer at 5% and a synthetic preservative at.3%… So it lets you reduce the synthetic (and the solubizer is often synthetic as well) but you cant eliminate it all. Ps sorry for typos, sent from my iphone etc. Great info! Thanks for sharing with us all, Tammy. 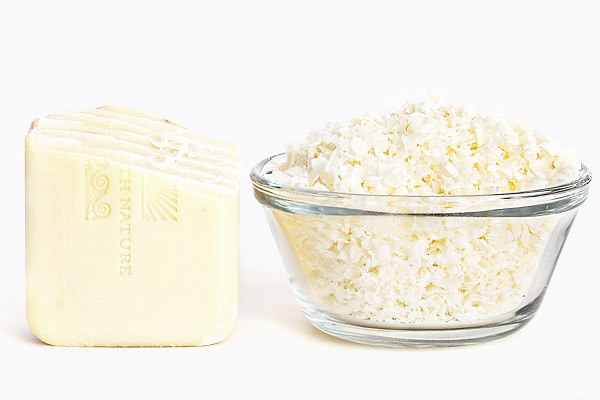 The biggest problem with the soap quality is because you are grating soap that has been made with sodium hydroxide, homemade liquid soap is made with potassium hydroxide. I prefer to make my own castile soap paste for my liquid soap. But with mold problem, logic says if the bar soap itself is safe to use as is, then it must be your water that is the contaminate. All of my homemade lotion recipes use “boiled distilled water”. Never tap water! I don’t even use our own spring fed well water for lotions. Therefore there can be no contamination from the water. Next would be the dispenser. Bleach your dispenser ahead of time and let air dry. You shouldn’t have any problems with mold after this. Just don’t ever introduce any herbal homemade liquids to your mix. They will all give you a mold overload! Good tips – thanks, Sarah! What about a safer preservative such as Optiphen. This is a paraben and formaldehyde-free preservative. It consists of Phenoxyethanol and Caprylyl Glycol. Hi Lia, Do you have any information on the safety of these ingredients, or the level they need to be in the product to effectively preserve it? Thank you for doing this review. I tried one of the recipes you linked to and I got a monstrous result that went into the garbage. You said snot-like.. mine came out like morphed alien snot… if there was such a thing. It was truly monstrous. There’s no way it would ever go through a pump tube. I even tried adding more water and more water and even more water. I’ll stick to buying my soap from the pros. I’m glad I’m not the only one who figure out those recipes are not what they claim them to be. So sorry that happened to you, Lisa. My recipe worked great for me. I still use it. There are lots of factors involved including climate, ingredients, water, etc. My only “claim” is that it worked great for me. Is that being disputed? It saddens me that you believe we would “lie” or make up results. For those who want to buy the regular stuff go for it. I still buy it at times. The recipe was provided for those who could benefit from saving money or simply wanted to try to make it themselves. Ridiculous nonsense like this is why I hardly blog anymore. It isn’t worth the time it takes to constantly defend my words. Please keep on blogging and don’t mind what others say. Those are probably the ones who try once, fail and never try again because it’s easier blaming someone else if they don’t succeed. Check out J. R. Liggett’s old fashioned shampoo. It is a bar soap style shampoo. I was going to make my own shampoo but found this. The ingredients are similar to the recipe I would have used. It is friendly to my scalp and my curly hair. With two little ones I don’t have time to make all my own products so when I found this I decided to give it a try. Great for travel/gym too since it’s not liquid. Amy, don’t let the idiots of the world discourage you. As someone commented above, you need to use science and instinct (although I would say common sense). The problem I see, after working many years in public education, is that many people don’t have any common sense and can’t problem solve their way out of a wet paper bag! Why would anyone who is concerned about bacteria or other nasties go through the trouble of making homemade liquid soap only to put it in a rinsed out milk jug? Yes Victoria I read your excuse of following a certain recipe…but why would you not recommend something you should have known wouldn’t work? 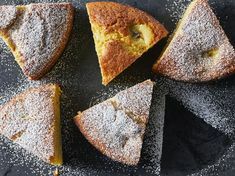 Why not try a different recipe? The least you could have done was put it in an empty vinegar jug. Personally I think the focus on bacteria, mold, fungus is way overhyped. I am with the 61 year old commenter above…..we did all kinds of stuff that according to today’s wisdom should have killed more than a few of us, but we live on. When I was in a microbiology class we tested many things and compared them for nasties….guess what, toilet seats have less nasties than water fountains, raw milk straight from the cow or after going through the farmer’s milking equipment had no nasties while the crap you buy from the store is full of nasties! (And of course has had all of the good enzymes cooked out of it….but I digress). If you are so worried about germs use the carcinogenic chemicals and take your chances with cancer instead. The choice is yours…..well for awhile anyway. Wow, this is a great thread! Thanks for starting it! We (i) get our soft soap from Costco where i can buy the two linked together bottles. On to making up some liquid homemade soap! i’ll just pour it into the already made liquid soap containers and we’ll be ready to go! We’ve already set up a home reverse osmosis filtering system, so i don’t suppose we’ll have to worry very much about bacteria and at the rate we use it, it should go pretty fast anyway. Thank you for such an awesome article dear and from my side I want to say that i am using manuka honey & mafura oil for my hair Because this natural liquid hand soap leaves hands feeling clean and soft.